Discussion in 'Disneyland Resort (California)' started by ddindy, Aug 4, 2016. 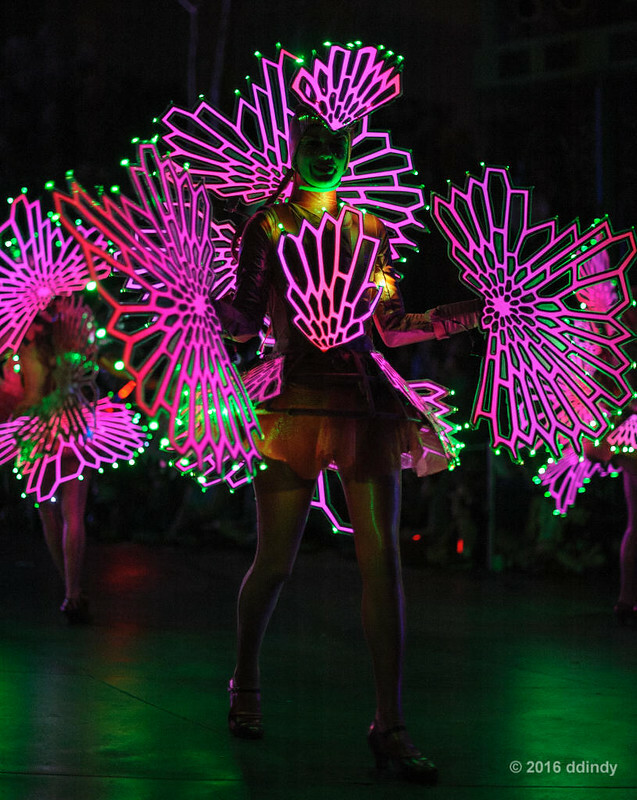 Like Walt Disney World, Disneyland has parades during the day and the night. Post those photos here. 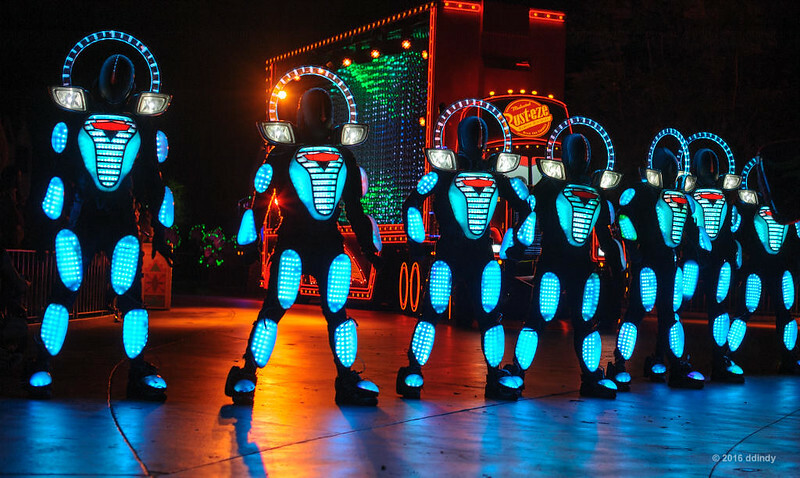 I was skeptical when I first saw videos of the Paint The Night parade. But seeing it in person makes all the difference. I think it's now my favorite Disney parade. Photos just don't do it justice (but that won't keep me from posting them). It looks awesome. MSEP has nothing (but nostalgia) on it. Sounds like a Labor Day trip is in order. 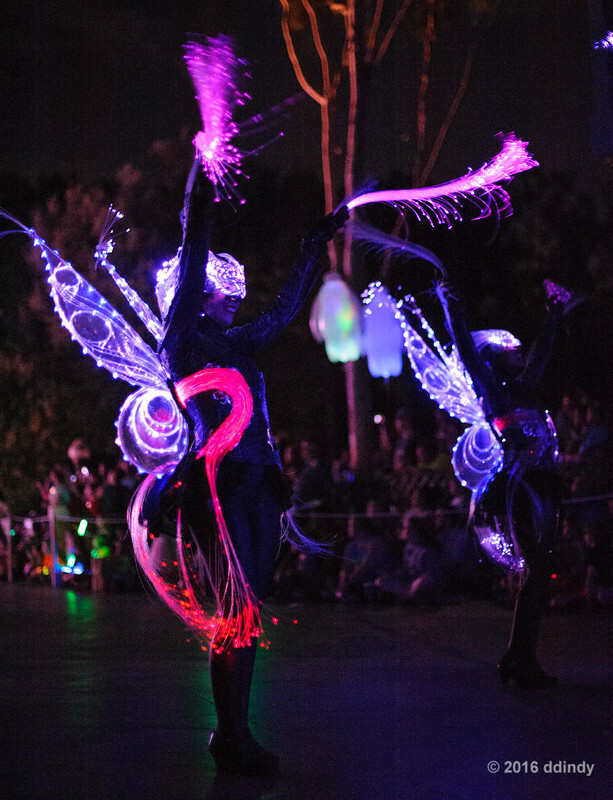 I read a rumor that Paint The Night will be back this summer, but probably not until after I re-visit in May. But at least I saw it twice last visit. Here's the Rapunzel car on the Princess Train. Watch out, Slink! Don't put your foot down there. Ooooh, that's gonna hurt. 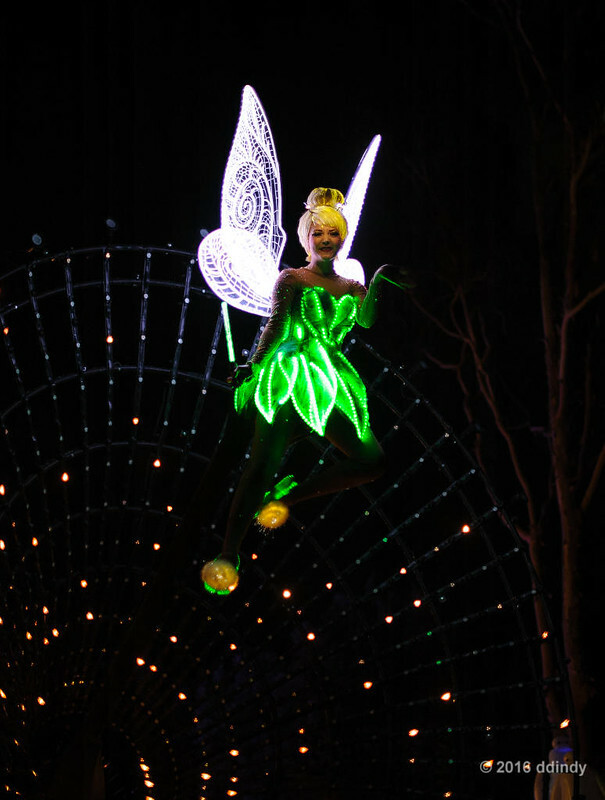 LIke the Main Street Electrical Parade, Paint The Night had a group of fairies clearing the way for Tinker Bell. 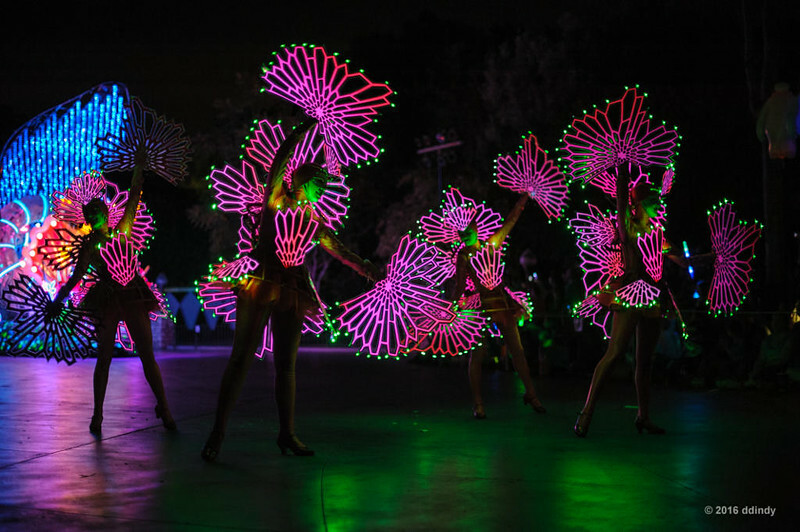 I read somewhere that these are called the Fiber Fairies. 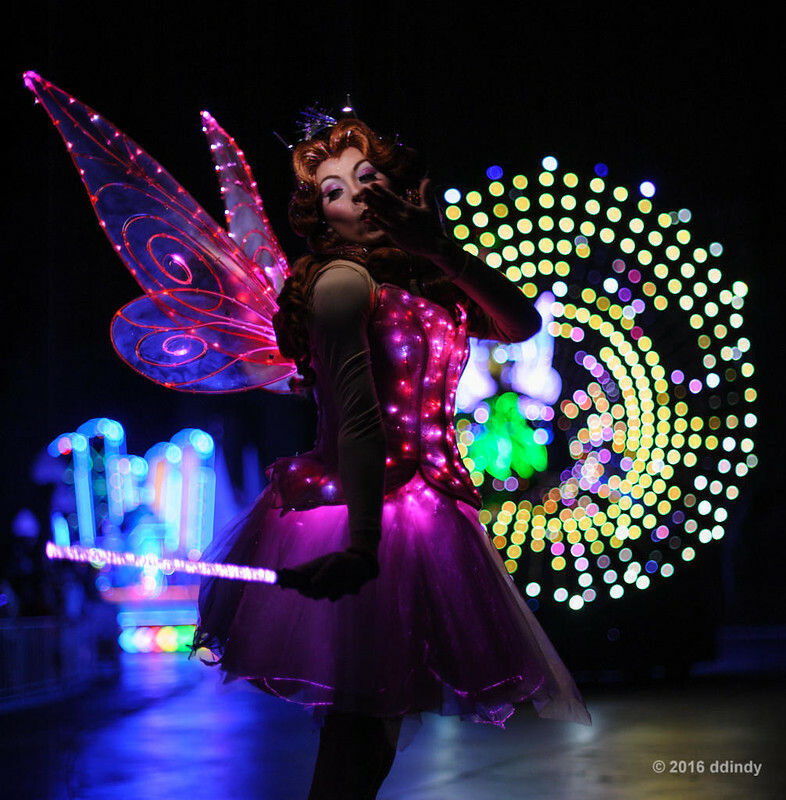 Another in my Parade Fairies series: Rosetta stops by to say Hello in the special Fairy way. 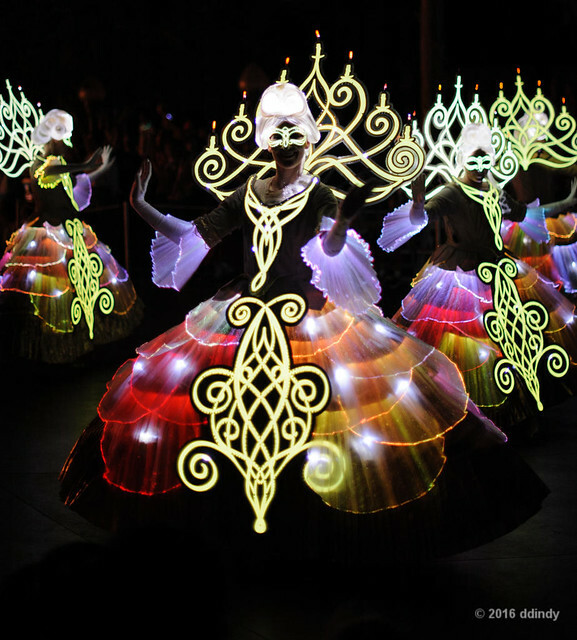 One of the cool things about Paint the Night is that some of the walking characters had lights to brighten their faces. 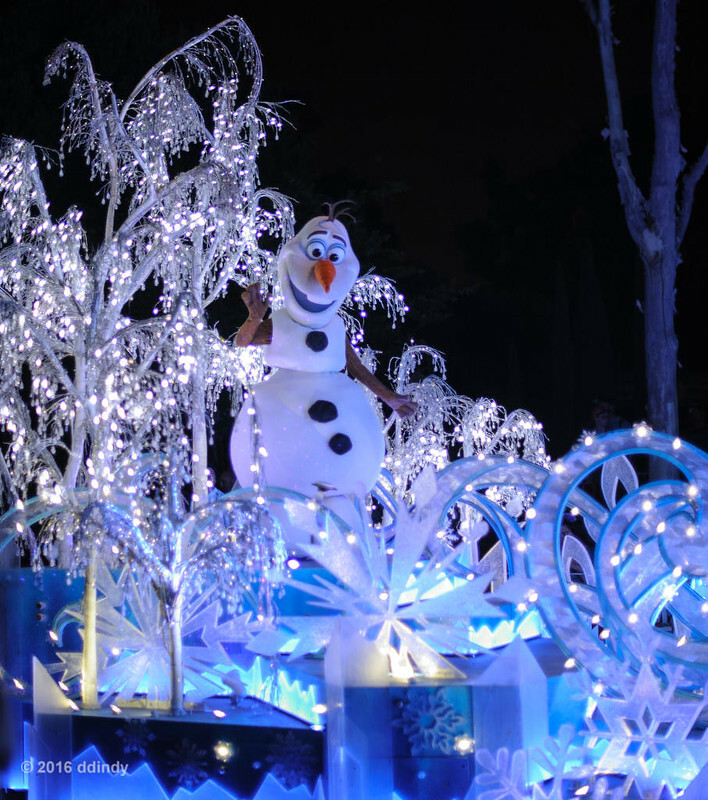 It's the first day of summer, which is Olaf's favorite season. He's came out to Paint The Night in celebration. 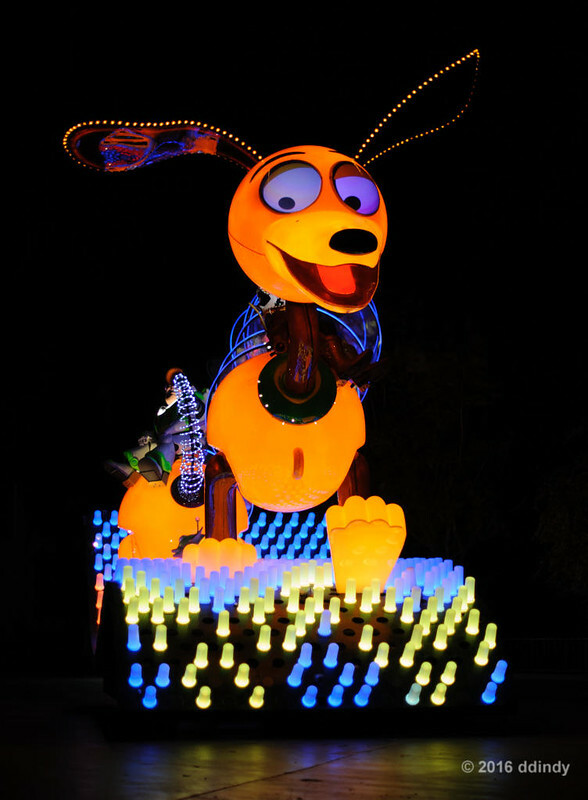 The good news is that Paint The Night is coming back. The bad news is it's just moving across the street to DCA. At least someone will be able to enjoy it once again. I'm thinking they will add one eventually, probably in time for the 50th, hopefully sooner. I'm not sure if this is an official parade or just a fun way to get the characters out. 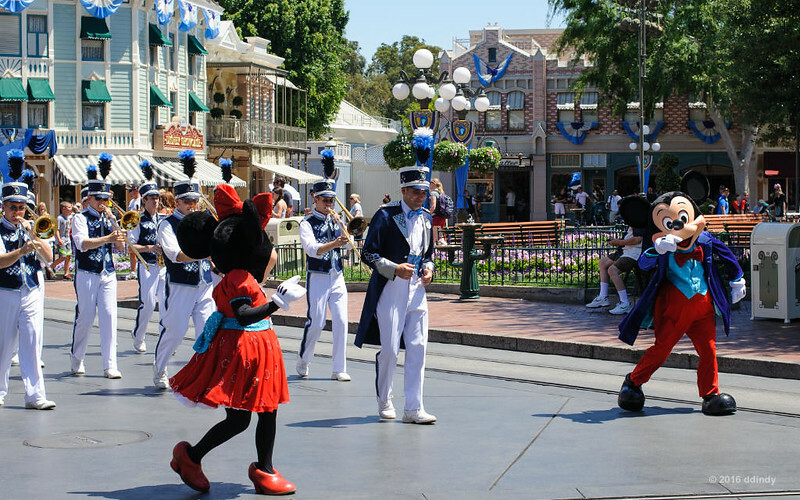 Mickey and Minnie lead the Disneyland Band down Main Street to Town Square. Following the band were Chip, Dale, Donald, Goofy and Pluto. They say that food is better on a stick. What about fairies? No jokes about Pixie Stix, please. Are they two-legged cars or dancing jukeboxes? You decide. Behave yourself, or the Fiber Fairy will whip you into shape. 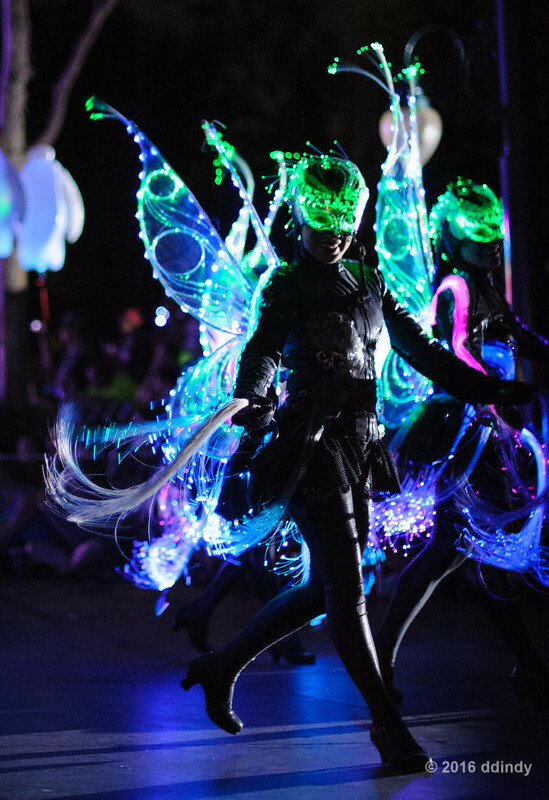 The Dove Dancers accompany the Princess float in the Paint the Night parade. 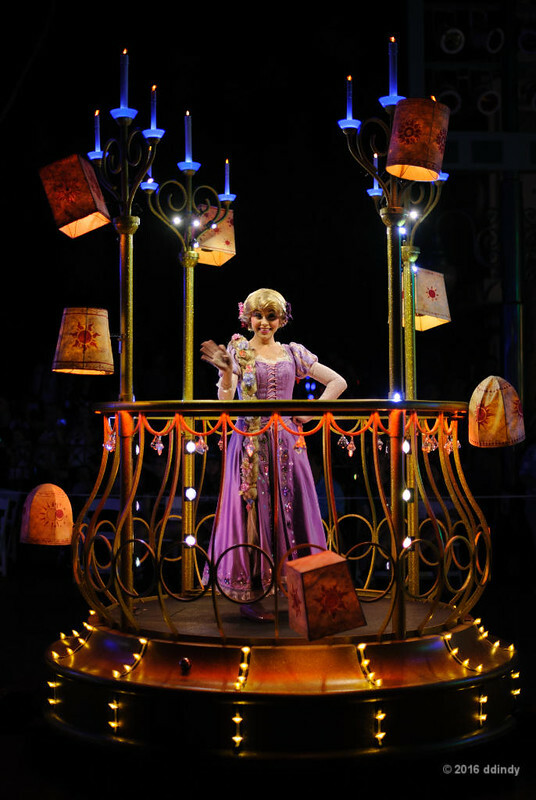 The float features Belle, Cinderella and Rapunzel. 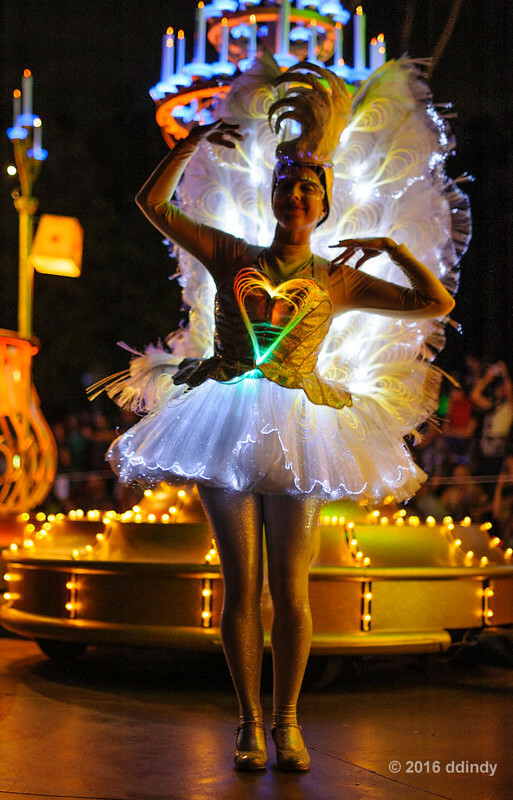 Another sea flower strolls by during Paint The Night.